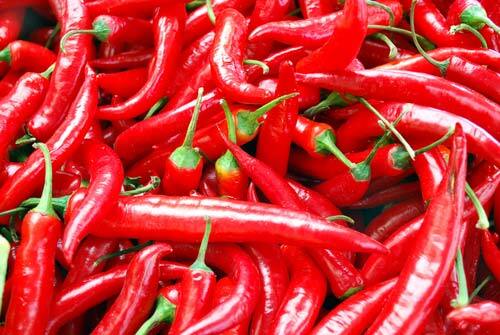 Hot pepper causes an unpleasant burning sensation, tears, and even shortness of breath. And yet people knowingly love spicy food, it is useful in many ways, just need to know how to soften the burning sensation. Most hot peppers are suffering mouth and hands. The skin oral cavity and hands are different, so the ways to relieve the burning sensation is also different. Handle peppers with caution - it is easier to prevent sunburn than to deal with its consequences. Capsaicin, the chemical contained in hot pepper, which gives it a pungent taste, gets on the skin in contact with the pulp of fresh pepper, or in the mouth along with spicy food. The scale of Hotness of different types of pepper reflects the content of capsaicin in each of them. The stinging species are native to South America, Southeast Asia and the Caribbean, the mildest of the hot peppers grow in Europe, for example, Italian peperoncini. If you prepare any dish with pepper or harvest of pepper, be careful that capsaicin did not get skin and eyes. Wash your hands thoroughly with soap and water, if they took the pepper with bare hands. Drink something containing fat to neutralize the burning sensation in your mouth because capsaicin is a fat - soluble substance, insoluble in water. Suitable cream, yogurt or milk. very good for cold drink, such as cold milk, as to the objective effect (dissolution of a substance in burning fatty milk) is added a psychological cooling effect. Folk remedies in the case of getting hot pepper in your mouth: cucumbers, salt, honey and bread. It is believed that the use of these products helps to reduce the burning sensation. If pepper gets on your hands, RUB salt on the affected area. You can add in a drop of salt water to evenly spread salt all over the skin. Finish the procedure of taking salt with the milk, and then with soap and water. If that does not work, put your hand in strong alcoholic beverage for a few minutes. Salt cleans the skin from stubborn pepper, milk, soap, alcohol, dissolve the remaining particles. You should also try the ice, it can temporarily desensitize irritated skin. Folk remedy: put on the affected skin with a slice of fresh cucumber. Do not touch the hands that cut the pepper, eyes and lips. The skin is very sensitive and a burning sensation is felt much stronger. Causes burning substance capsaicin is not soluble in water. To dissolve the capsaicin and use of liquid products containing fat or alcohol. 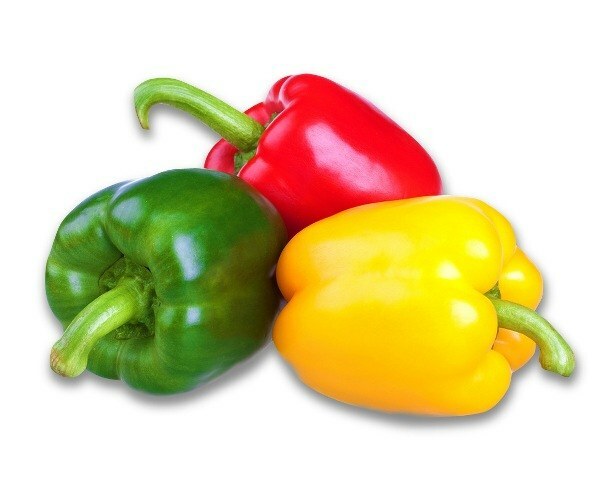 Sweet pepper is a treasure trove of antioxidants. Pepper contains vitamins a, b, C, E, beta-carotene, fiber, folic acid. This vegetable is used for salads, first and second dishes. Very often when preparing various dishes the hostess notices that the pepper is bitter. Do not be upset and throw a vegetable with bitter taste. There are several ways to get rid of its bitterness, each of which depends on what kind of pepper is used, and what dish you intend to cook. Soaking in cold water is quite well-known way of getting rid of bitterness. But it is best to apply it to pepper. Pre-open vegetable and free from the stalk and seeds. Soak the peppers should be 20-30 minutes, after that it can be used according to the recipe. Scalding hot water followed by soaking in cold water is rarely suitable for acute varieties as it doesn't take away the bitterness. Moreover, high temperature can increase the pungency. This method is recommended for moderately bitter varieties of pepper. It is necessary to scald the vegetable in boiling water and immediately soak in cold water for 20 minutes. If you use this vegetable to prepare Lecho, matbucha or other slightly spicy salads, the bitterness can be removed by adding tomatoes. The pepper washed, cleaned, sliced and stewed with the addition of onions, couple of cloves of garlic and tomatoes. The fighting is also well eliminates the bitterness. If you use red chili pepper for cooking any food, it must be remembered that the major enzymes that cause severe burning, are found in the seeds and peel. Markedly reduces the severity roasting peppers on the grill or in the oven and then removing the skins. It is recommended to remove the seeds before heat treatment. Not to get a nasty burn your hands, you must do this procedure wearing rubber gloves. If gloves were not at hand, and there was an unpleasant burning of the skin, thoroughly wipe your hands with olive oil for one minute and then thoroughly wash them with hot water and soap. Another proven method of ridding the vegetable of bitterness – deep freeze. However, freezing does not remove the bitter taste of pepper, but rather stores it. This method is effective only in conjunction with pre-scalding and soaking. To deal with the bitter taste using a pre-marinating in a weak solution of vinegar. To do this, 1 tbsp 3 % vinegar mixed with 500 ml of water. The resulting solution pepper should withstand 30-40 minutes. All methods of disposal pepper from bitterness should be used depending on which dish you decide to cook, what recipe you choose, and what method of treatment of vegetables you intend to apply.